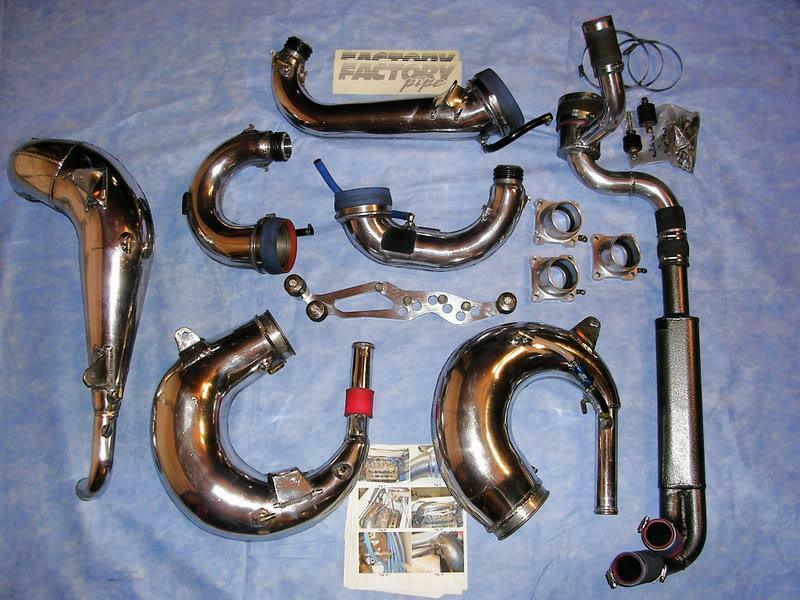 Factory triple pipes for GP1200 and ported cylinders for sale. Cylinders have aprox. 10 hrs. ported by Ted Boyko, 84mm bore. Pipes have been pressure tested excellent condition. Ted Boyko ported my 1100 Raider cylinder and case, is he still in SoCal? Ted worked at Mission Motorsports in Laguna Niguel, CA when he did these cylinders. Do not know if he is still there, last I talked with him he spoke of starting his own shop. That man would talk your ears off. Yep, that`s where I had mine done, back in `98 he certainly knows his stuff. PM on the pipes if they aren't already sold. Factory Triple Pipes are sold, cylinders pending payment. How much more power did the factory triples give you? I am new to GP's. Triples add about 30hp to a ported motor. I don't know of anybody who has ever just put on the pipes without doing porting. WTB GP1300 cylinder or set of ported cylinders for the right price.